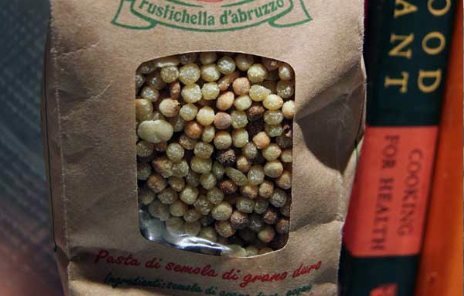 Some of you may not have heard of Fregola Sarda. I hadn’t until I saw it on a store shelf last week and decided and I had to buy it. 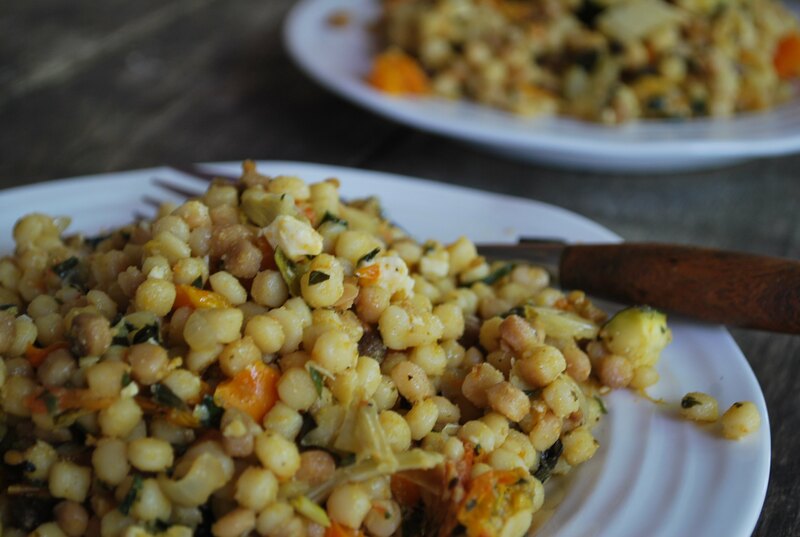 Fregola is a tasty Sardinian pasta made out of coarse semolina. The pasta bits are toasted after they are dried, changing the color and creating a nutty flavor that I think could become quite addictive. It cooks like pasta, you can use it like pasta, but it has a totally different consistency (aka “mouth feel”) that makes it an interesting alternative to the regular pasta we get in the habit of using. I did a simple “mista” version with grilled veggies, olive oil, balsamic, and herbs. I will make it again. And again. And again. Cook Fregola Sarda according to package instructions. Meanwhile, grill vegetables. Chop veggies finely along with herbs. When Fregola Sarda is al dente, drain, and put in a nice big mixing bowl. Toss with olive oil and balsamic vinegar. Add grilled vegetables, chopped herbs, and slow roasted tomatoes. Toss. Add sea salt and vinegar to taste. Serve warm or keep in the refrigerator for a nice summer-y picnic lunch.